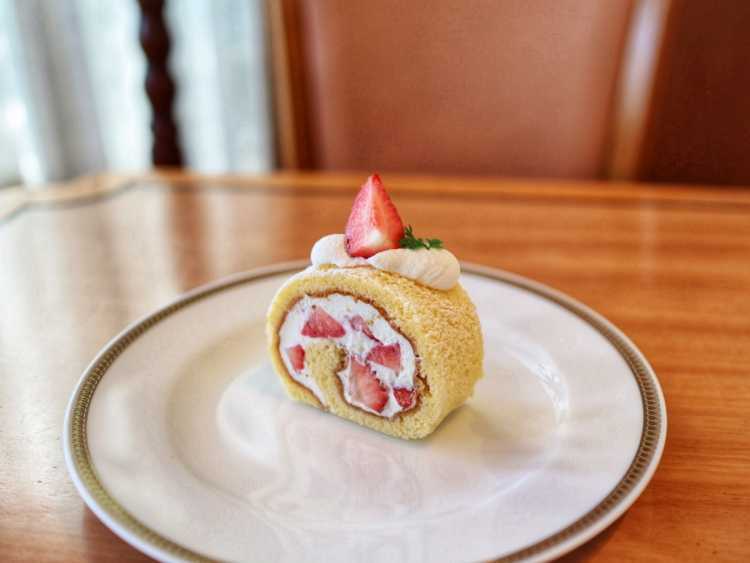 Soft rolled cake with many strawberries. And the cream is the originally made with custard cream, fresh cream and vanilla mixed together. The sour-sweetness of strawberry and gentle sweetness of cream have an excellent harmony.